Sunday started fairly slowly. We left camp minutes after the gate opened, and cruised slowly up the S100, enjoying the beautiful sunrise. 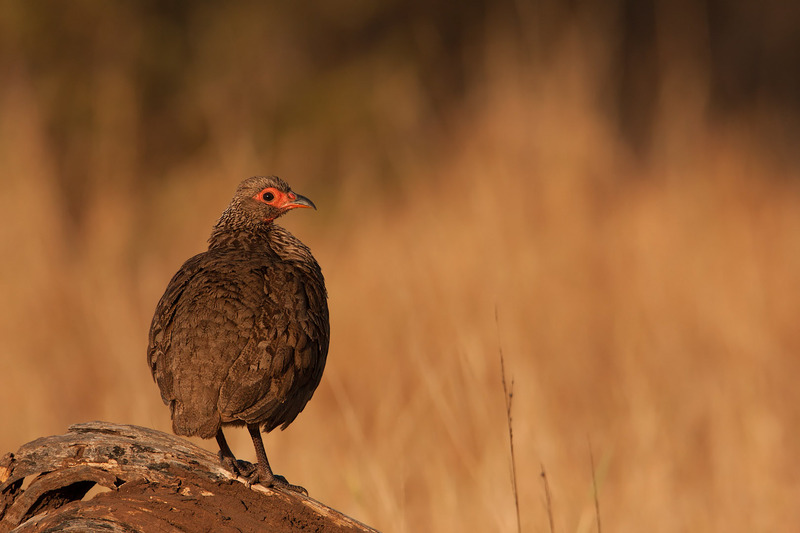 Our first sighting was of a Swainson’s Spurfowl, perched on a fallen tree, trying to warm itself in the early sunlight. After that, we saw only the usual Impala and Zebra, intent on grazing and disinterested in posing for photos. We tried to shoot a few Burchell’s Coucals, but they all disappeared deep into the bushes as soon as we pointed a camera at them. The viewpoints over the N’wanetsi were as picturesque as ever, but delivered very little in terms of photo opportunities. 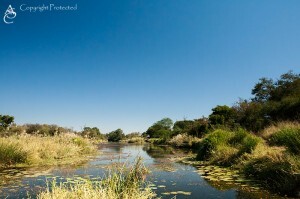 The Gudzani dam hosted only a few Pied Kingfishers and some crocodiles lying sleepily on the dam wall, looking bored. 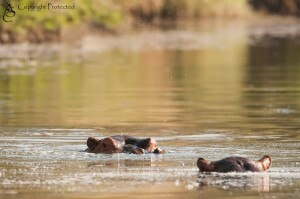 At the crossing over the N’wanetsi river, we took a few photos of the hippos lying lazily in the water, before proceeding to the N’wanetsi picnic site for breakfast. 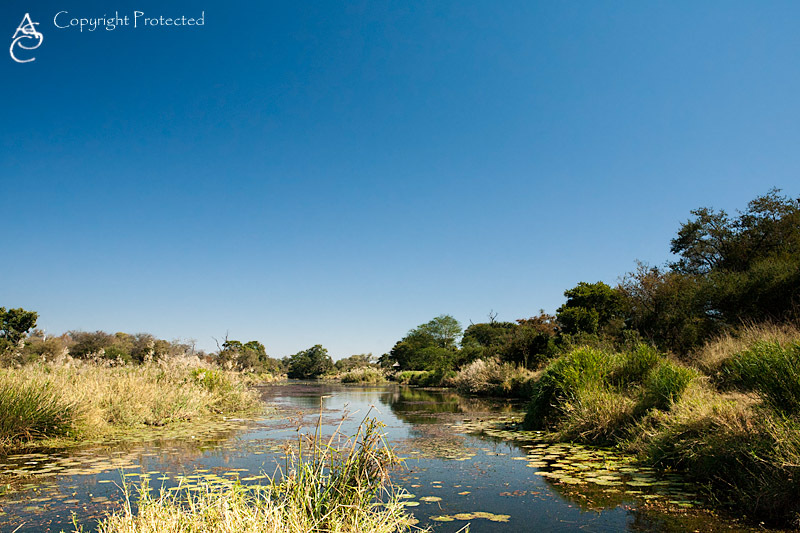 After breakfast, we turned right towards the Sweni hide. 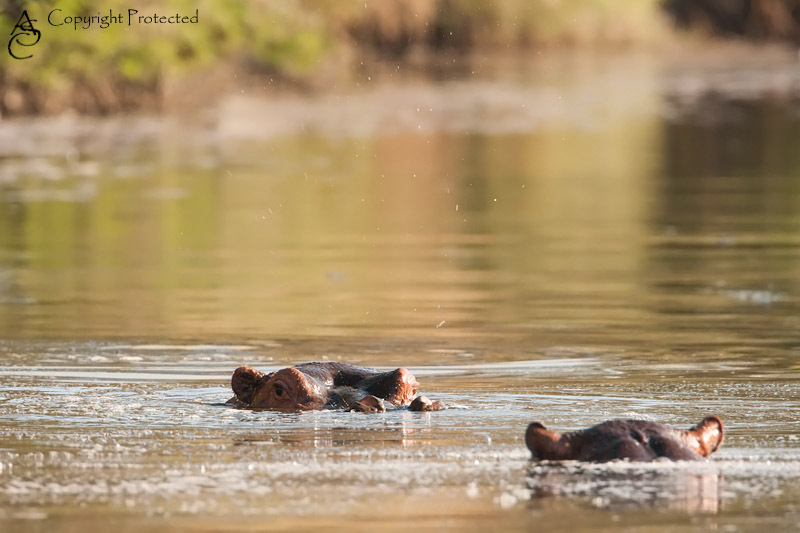 Both the hide and the crossing over the Sweni river offered up some water birds, but no new species and no photo opportunities, so we took the H6 back to Satara. Some distance down the tar road, we found a chameleon, bravely crossing the road. Having seen chameleon fall victim to cars before, we stopped and turned the car, blocking any potential traffic, until it had safely made it to the other side. Feeling good about helping a chameleon safely cross the road, we carried on. Back at the camp, we bought take-away iced coffees from Mugg & Bean, before driving north along the H1-4. A few kilometres outside the camp, another car flagged us down and told us that further down the road, in the direction we were going, there was a leopard in a tree on the right side of the road, and about 100m further, a pride of lions. Very excitedly, we continued on. 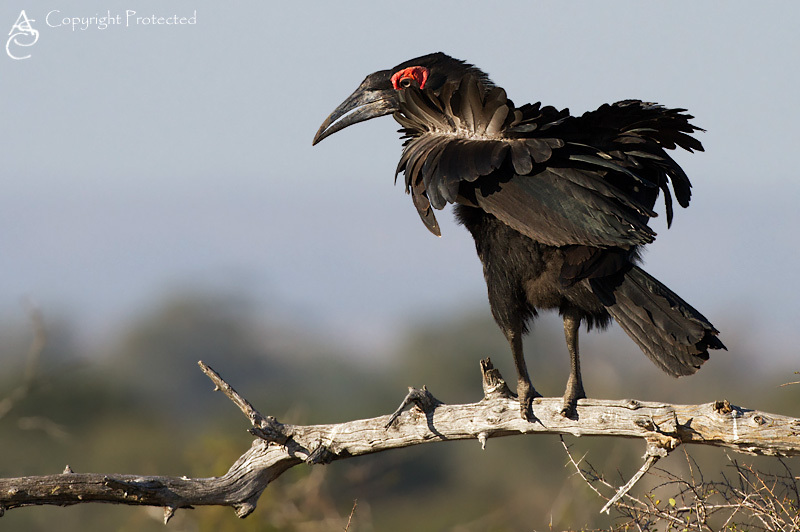 But first, we had to stop and take one of the best photo opportunities we’ve ever had on ground hornbills. We found the leopard easily, thanks to the cars parked under the tree. 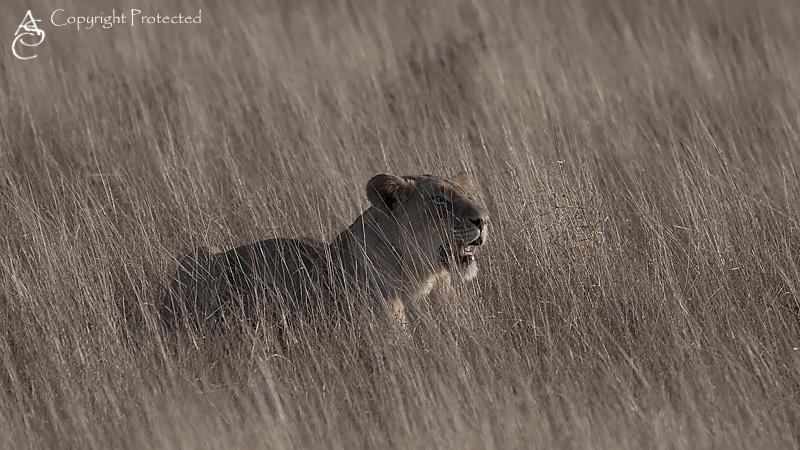 The leopard itself was unfortunately asleep, mostly obscured by leaves, so we decided to move on to the lions. What an opportunity! Even though the lions had the sun behind them, the sun was so low by then, as well as being filtered by the smoke from the ever-present veld fires, that we were able to take some beautiful backlit photos. 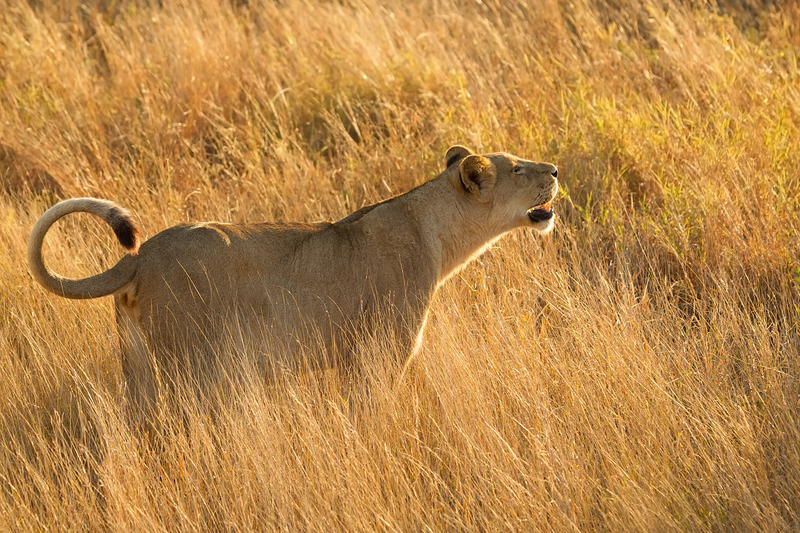 When the lions had moved beyond the reach of even our longest lenses, we turned back. 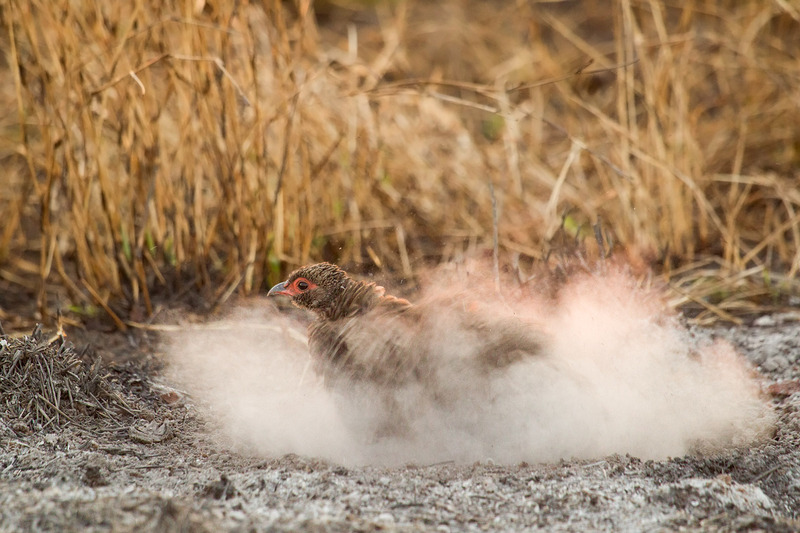 Having a some time left before the gates were due to close, we drove a short distance up the S90, where we found some Swainson’s spurfowl taking dust baths in the ash. Another good photo opportunity, even though the light was so low that I had to mush the 1D mk IV to ISO 2000 to get the shot!